I will be cleaning and posting a new line art after exams for anyone who wants to color. I ToTaLlY wanna color this too! Oh pretty please?! ... btw, when you clean this up, can I haz the lineart to color? Pretty please? Sure XD Im just going to darken a foot and maker freya shorter though. I don't usually clean beyond that unless I have uber time and patience. So awesome! 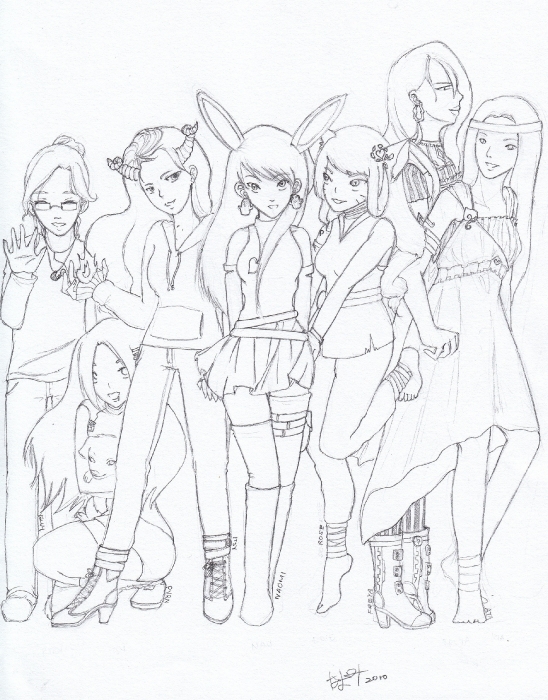 >_>.... why am I taller than everyone else? eeek! this is adorable!!!! luffs it!